Very well captured, it's a charming door and entrance.I love those vases and the plants.I also like a lot the reflection in your picture. 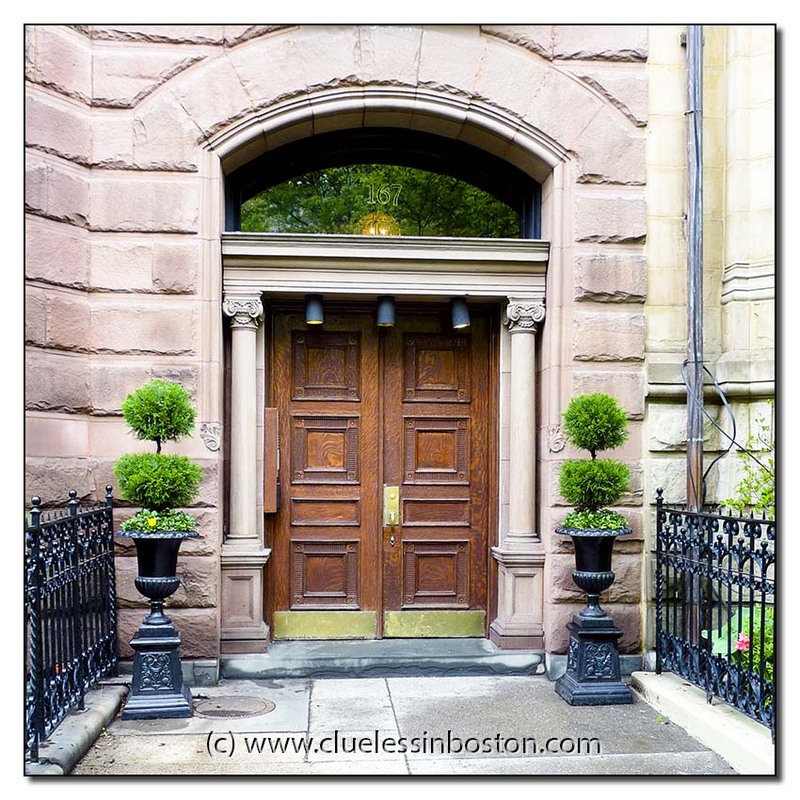 A very rich and interesting door: the columns,the protecting metal parts, the design of the wood.. and last but not least, the two funny trees on each side! PS: Thank you VERY much for your nice comment today! you're very kind!